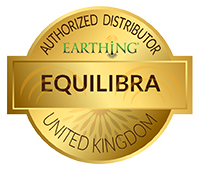 Official European Distributors For Barefoot ConnectionsTM / EarthFXTM Professional Earthing & Grounding Products. Grounding / Earthing Garments – Earthing Gloves, Socks and more to target specific areas of the body where pain, swelling, inflammation or injury may be present. Also improves your Earthing Experience immeasurably! Auto/Car Earthing Seat Pads and More for protection while traveling. Body Voltage Tester for measuring decrease in AC Body Voltage and demonstrating increase in DC Body Voltage showing increased flow of Electrons from the Earth into the Body. All Barefoot Connections / EarthFX Earthing Products are <10x3 Ohms Per Square Resistance, which makes them very conductive. Read more about the potential dangers posed by EMF/EMR/Microwave Radiation that the government and telecommunications companies are just not telling us about!